I have not had a lot of success taking train photos recently as my camera is getting on a bit and does not like taking shots of trains at speed as the auto focus does not keep up! This one was going nice and slowly so I managed a better shot. 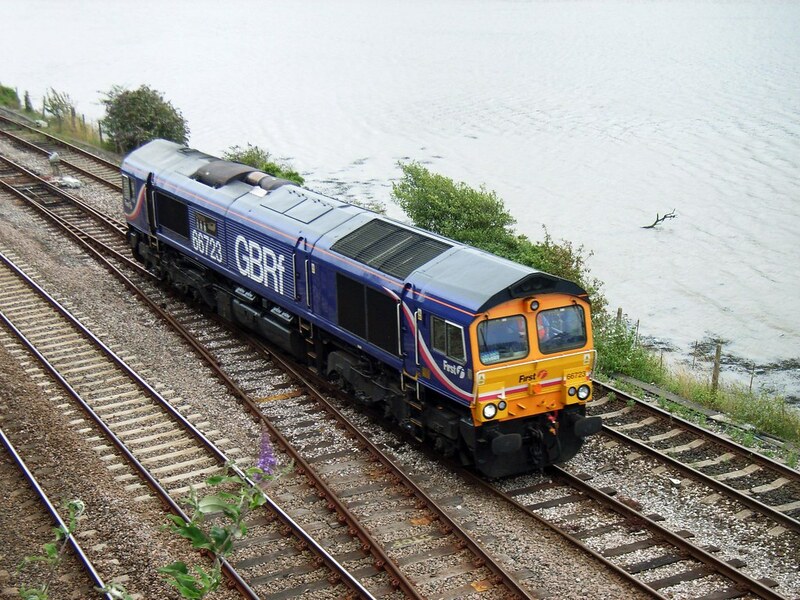 66723 GBRf class 66 seen about to enter the Laira complex. 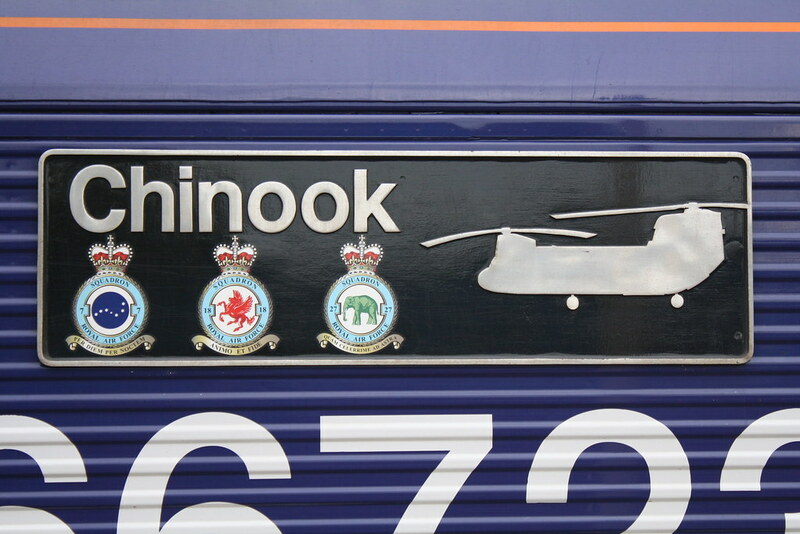 The loco carries the nameplate Chinook. Hi Graham - I saw what you said about the autofocus not keeping up. As long as there's plenty of light, you can get round it. Here's how. Switch to manual focus, change to shutter priority and set it to 1/250 or 1/125. Manually focus about (I was just about to say half way to infinity but that's ridiculous!) - about 2/3rds into the scene and wait for the train to hit whatever point is best for the composition. Hit the button to take the shot. As long as there's enough light around, the shot will get taken by your camera at f11 or f16 (maybe even f22) and this will give you a depth of field that'll keep most if not all the train in focus. Of course, the high shutter speed will freeze the motion. The camera is very basic point and shoot but there is a manual focus option so I will have a play and see how it works! Good luck - I'll keep my eye on your blog for the first successful shot of a high speed train (bus / coach) whizzing along that uses the technique!